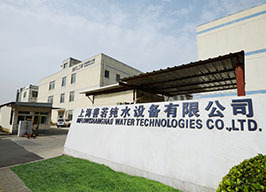 Inflow(Shanghai) Water Technologies Co.,Ltd.is mainly involved in the manufacture of RO,NF and UF membranes for water purification purpose varying from Domestic,Commercial and Industrial use.Located in Shanghai, China, we have set up a 2000sqm manufacturing unit with laboratory, rolling devision, testing devision and warehouse. 1)50gpd,75gpd,80gpd,100gpd RO membranes for home use water purification systems. 2)200gpd,300gpd and 400gpd RO membranes for RO water systems installed in hotels, motels, restaurants, offices and shopping mall etc. 3)4040 and 8040 membranes for industrial use. 4) NF membranes and UF membranes. We provide competitive membrane products by using top class membrane sheet, PP net and Permeate Carrier which are all imported outside of China. Therefore, our membrane average rejection can be stabilized at 97% and the permeate flow is good in condition of the operational inlet water pressure is as low as 60psi. We have 10 pcs rolling machine, 3 pcs testing machine and 2 pcs packing machine and our monthly capacity is 100000pcs domestic RO membranes. With our locally well recognized brand “INFLOW”, we have exported our products to India, Africa, Mid East, and European countries. 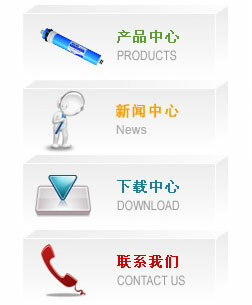 Our best service to all of our customers have enlarged our experience in membrane design, quality control and cost control , which have definitely improved our name in the water treatment field all over the world. Insisting of the mutual win ethic, We hope to establish long term business with all customers by providing best quality while reasonable price membrane products.